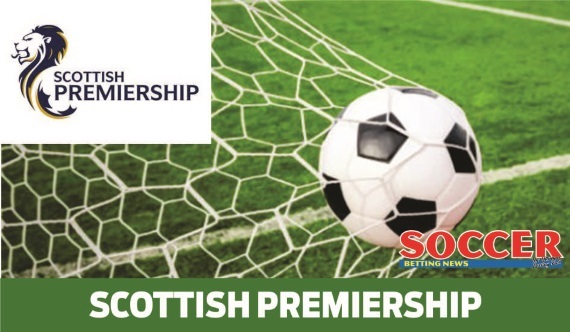 The international break has come and gone which means that we can turn our attention back to matters north of England in the Scottish Premier League. We’ve got another full round of fixtures coming our way with the relegation scrap between Dundee and Kilmarnock probably the pick of the action. Ross County will face an uphill battle when they welcome Celtic to Victoria Park in the early Saturday kick off. The Staggies have struggled to put together a decent run of results, failing to win back-to-back games in the league this season. They did manage to grab a 3-2 win over Motherwell before the international break which will give them a bit of a boost before their biggest test of the season. Celtic really should cruise through this fixture. Although having said that, they have dropped points in two of their last three home games. While they’ve clearly felt the pressure a bit at Parkhead, they’ve had no problems on the road, winning all six of their away ties. Back them to make it seven in a row this weekend. Take the (-1) Handicap at 6/10. We’re off to the Ibrox next where the mood has lightened significantly since the sacking of Pedro Caixinha. Graeme Murty has presided over a series of good results including comprehensive back-to-back wins over Hearts and Partick Thistle. The men from the blue half of Glasgow will be licking their lips at the prospect of facing a Hamilton side who have only managed one league win in six attempts. The Accies have battled for form this season and could be dragged into a relegation scrap if they keep dropping points so consistently. Having said that, they caused the upset of round 13 by holding second-placed Aberdeen to a 2-2 draw at New Douglas Park. Despite that result two weeks ago, I don’t see them challenging a reinvigorated Rangers side. Back the hosts on the (-1) Handicap here at 8/10. Aberdeen really need to stop dropping points if they want to make a concerted assault on Celtic’s domestic supremacy. A scrappy 2-1 over Ross County was sandwiched between a 3-0 defeat against the Bhoys and a poor 2-2 draw away to Hamilton. They absolutely must win this weekend if they want to keep the pressure on Brendan Rodgers’s men. The international break came at the perfect time for Motherwell. A run of three straight league wins was followed up by back-to-back defeats against Hibernian and Ross County as the Steelmen slipped down to fifth in the table. Neither of these teams have been particularly impressive over the last few weeks. I am, however, inclined to back the hosts who do have the better team on paper. Hibernian are flying high at the moment having won four league fixtures on the trot and their sights firmly fixed on Aberdeen who are just two points ahead of them. Neil Lennon will demand nothing less than a win from his charges as they welcome a St. Johnstone side who have only managed to pick up a point in their last six matches. Furthermore, the Saints have failed to find the back of the net in those six league matches having conceded 12. That’s simply not good enough for such a big club. Whether or not they’ll be able to turn things around against a red hot Hibs side remains to be seen. Take the Both Teams to Score: no market here at 15/20, the only way to go really, with St. Johnstone failing to find the back in such a long time. We’re off to the mouth of the River Tay next as Dundee do battle against Kilmarnock in what could already be considered a relegation six-pointer. Dundee are definitely more in need of the win, having lost their last five matches. They’re rock bottom of the table at the minute, two points off 11th-placed Partick Thistle. It is worth mentioning that four of their last five defeats have been by the odd goal, so they’ll believe that they’re not all that far off where they need to be. Kilmarnock on the other hand have only lost once in their last five matches. That defeat came in a 3-0 loss away at red-hot Hibernian at the end of October. To their credit, they bounced back superbly against a strong Hearts side, defeating the Jambos 2-1 at Murrayfield. A difficult one to call this, although I simply don’t see Dundee winning. Take the away side on the Win/Draw at 11/20. We round off the weekend’s action as Partick Thistle make the trip to Murrayfield to face Hearts. The hosts haven’t been in great touch of late, losing four of their last six league matches as they slip down into sixth position on the standings. They should, however, be able to turn things around on Sunday when they play host to an underperforming Partick Thistle outfit. The Jags are just a defeat away from the bottom of the table and need to turn their fortunes around ASAP unless they want to find themselves in the Championship next season. They’re the joint lowest scorers in the league and will battle against Hearts. Home win is the way to go here.